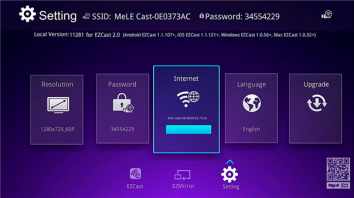 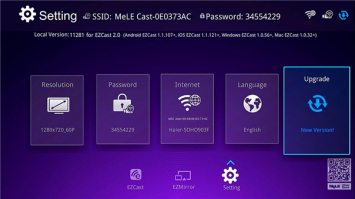 Step1: Go to Setting >> Internet, to connect the MeLE Cast to network. 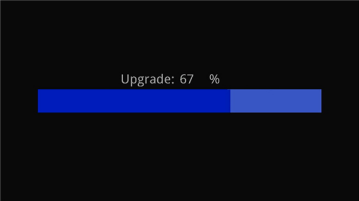 Step 2: Go to Setting >> Upgrade, to check if the new version is available. 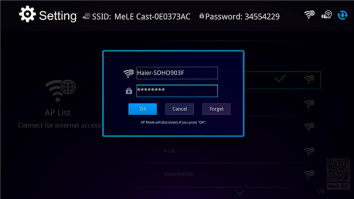 Step3: Select "Yes" in pop-up menu to start download the firmware. 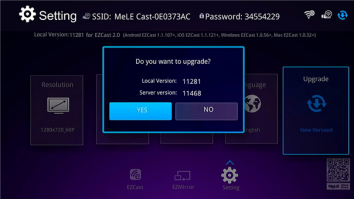 Step4: After download completed, it will start upgrade automatically and it will restart itself automatically after the upgrade completed.